Whatever your industry, pests are bad for business. The team at Competitive Pest Control Services will eradicate pests from your premises so you can get on with the job. All our pest control solutions are HACCP with ISO 9001, ISO 4801 and ISO 14001 certification. You want your home to be comfortable – but not for pests! 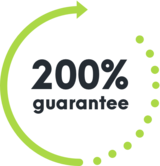 Our friendly technicians will free your home from pests and safeguard against their return – using products that are safe for your family, pets and the environment, backed by our 200% guarantee. You want your home and business to be a safe and comfortable place to be – but not for pests! Competitive Pest Control has an award winning reputation for expertise and professional service. Our friendly, professionally trained technicians will arrive on time, in time, every time to solve your pest problems. Our accurate quotes with no hidden costs or added expenses, are backed by our 200% money back guarantee on our most popular residential treatments, like ant, cockroach, rat, spider, bedbug control and removal service. That’s right. You’ll not only receive a full refund, we’ll also pay to have your pest problem sorted by our competition if you’re not satisfied with our work. Born in Myanmar and NSW raised, I'm one of youngest members - but far from one of the newest! This was my first job ever, and my training wheels are now well off the ground 'cause they gave me my very own email address! I'm a pest control tech with many years’ experience in the industry. (That makes me the most mature one!). I always enjoy dealing with pest issues & advising customers on preventative measures. I love the great outdoors, hiking, camping, gardening, fishing & riding my motorbike. Also enjoy being in the company of my grandkids – they’re not pests to me! I’ve been in the industry for over 10 years and have enjoyed almost all of it. I like a good joke or a prank with my colleagues. Outside of work I enjoy spending time with my family and playing indoor and outdoor cricket. Even though I’m rubbish at both. I’m one of the friendly voices you’ll hear when you call Competitive. I love playing basketball and love dealing with weird and wonderful pests all day. Competitive Pest Control Services has partnered with the Cambodian Children’s Fund to raise awareness and support for this worthy charity. The One Child, One Tech initiative is simple – for every new technician we hire, we commit to sponsoring another child through CCF. Your support will help lift whole families out of poverty. Founded in 2004, Cambodian Children’s Fund provides life-changing education, nourishment and healing to vulnerable children from some of Cambodia’s most destitute communities. Growing from supporting the health and well-being of 87 youngsters CCF today cares for more than 1,800 students and 10,000 people annually after extending the services to entire families and communities in crisis. With Competitive Pest Control Services you’ll never have to worry about paying for a job that hasn’t been done. If you’re not satisfied with our services, we’ll not only give you your money back, we’ll return it to you twofold. That’s right: you’ll not only receive a full refund, we’ll also pay to have your pest problem sorted by our competition. We’re always trying to raise the standard of service, it’s one of the reasons we were name Australian Pest Manager of the Year four times in the past six years. When you employ our services, you know your pest problem will soon be a distant memory. What could be more satisfying than that?